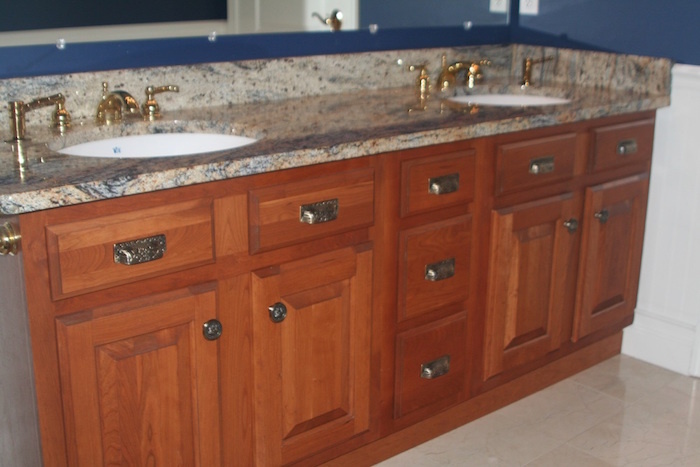 Above: Cherry raised-panel vanities with custom stain color and custom pulls. 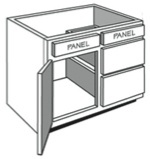 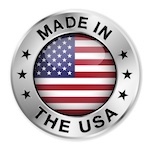 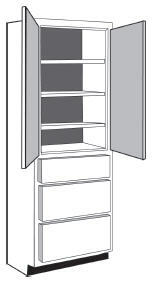 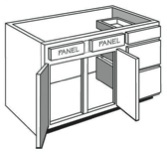 Standard dimensions for vanity cabinets are 31"H x 21"D, but they can be decreased in depth to an 18"D "narrow" vanity and/or increased in height to a 34.5"H "tall" vanity (the same height as kitchen cabinets). 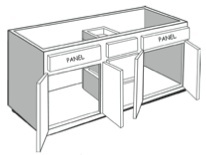 They can also be changed to a custom dimension. 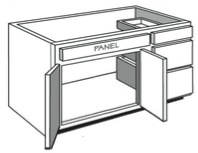 One 3 1/4"h drawer, two 5"h drawers; Note: reducing height of cabinet will result in smaller large drawers; minimum width is 12"